The Exclusive. For more than 35 years we have manufactured our round styled Bridles and Double Bridles which enjoy great popularity worldwide. High grade materials and handy crafts change every Bridle into a piece of Jewellery which becomes unique by ‘Styled-By-Me’. Various Browbands, Padding Colours, Sewing Colours and Reins. Please view Catalogue. The shell neck of the Munchen Feel Good promises a great fit and comfort for the horse the chin pad is extra soft and without in seam, on request personalized hand stitched leather loop. 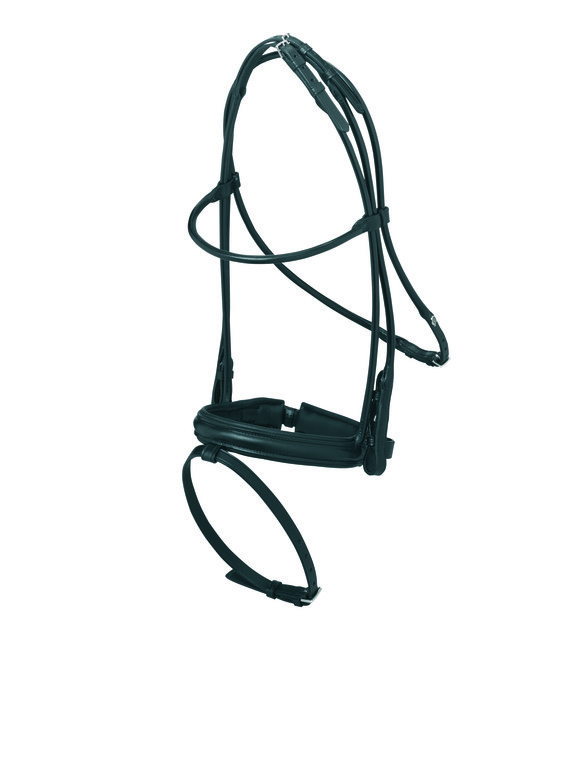 Because of the large selection of Browbands and Nosebands these can be designed individually.